The Greenway multi-function drying rack is flexible and has strong hold suction cups. This drying rack is extremely versiatile, it can be suctioned to your bathtub or window. There are 16 convenient stainless steel rods that provide 36 feet of drying space. It utiliizes small spaces indoors or outdoors, making it perfect for apartment balconies and bathrooms. The stainless steel consturciton makes this product durable and long lasting. 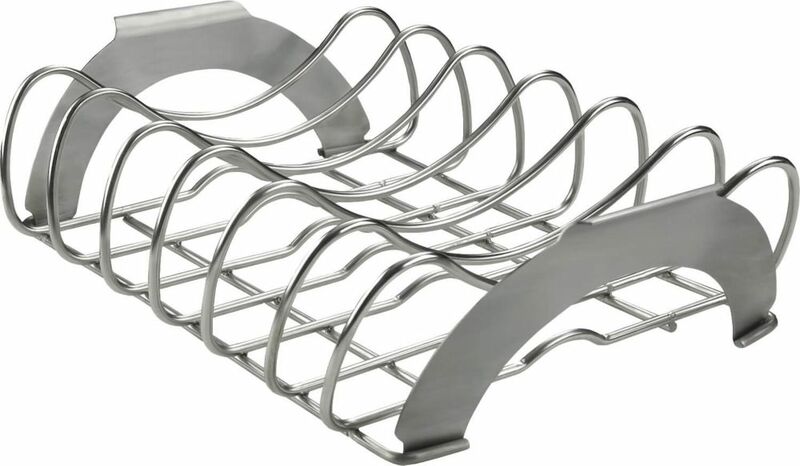 PRO Stainless Steel Rib / Roast Rack Napoleon PRO series stainless steel Rib and Roast Rack for the grill master in every household. Two great grilling products in one that fits all Napoleon grills and charcoal kettles. Ideal for ribs, roasts and chicken for convenience and even cooking. Also eliminates messy grill cleanup!